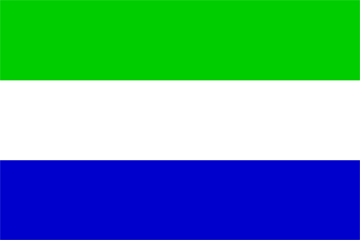 Call A1 Overseas International at 1-800-450-5319 or fill out the form for a FREE quote and more information on auto shipping to Sierra Leone! Shipping to Sierra Leone with A1 Overseas International will make the process of shipping an auto to the country a little less stressful. There needs to be a significant amount of people involved, the right equipment, and enough knowledge to properly see through an overseas transport. Hiring professionals is the only way to see through this job and assure the vehicle’s security. The Embassy of Sierra will gladly give you insight to the most up to date auto import and export policies. After creating a list of things that must be handled for vehicle import to be permitted by the country, use A1 Overseas International’s help and get everything prepared. Get the vehicle cleaned up and empty it out. Only leave the floor mats, car jack and spare tire in the vehicle unless you chose enclosed shipping services and plan on bringing along possessions. Have the vehicle inspected and even check all fluids and the tire pressure. Only leave the gas tank ¼ full. Take pictures and write down damages already existing on the vehicle before it is shipped off. Comply with everything on the list you created after calling the embassy. International auto transports take time to prepare for. Try starting the preparation process a couple months ahead of schedule. This will give you and A1 Overseas International time to gather all of the required proof. Contact 1-800-450-5319 or fill out the form for a FREE quote and more information on boat, motorcycle and car shipping!